Thoroughbred Breeders Australia’s traineeship program Fast Track is open for its second intake. The training scheme was launched last year as part of TBA’s commitment to find and educate the next generation of industry talent. The program works by finding young people who have a passion for horses and placing them with a respected farm where they will gain hands-on experience via a traineeship, while also completing a Certificate III in Horse Breeding through TAFE NSW Scone. The TAFE component of the program includes two intensive learning blocks (6 weeks in total) and includes 16 formal study modules. Applications are now open for 2019 and will close on March 31 ahead of the 12-month program that starts in late May. We encourage people from across Australia to apply and there is scope for placements on farms nationwide. 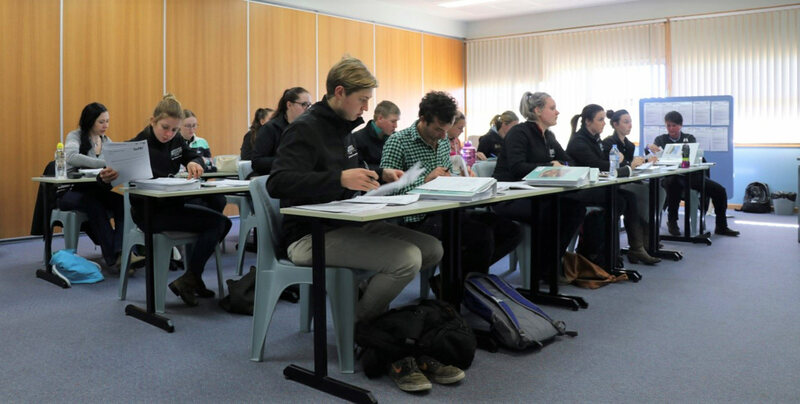 The program has received great support from the breeding industry in the past 12 months; not only from farms willing to take on trainees, but also people willing to share their time and experiences with those on the course. As well as teaching provided by TAFE, the trainees enjoyed a series of tutorials provided by experts from within industry. “I would absolutely recommend to anybody to get behind this,” says Royston Murphy of Sledmere Stud, who have taken on a trainee. Cecelia O’Gorman of TBA, who co-ordinates Fast Track, is keen to hear from anybody who might be interested in applying for the course. “It’s very important that we have quality people coming onto the program, so we really want to get applications from people that love of horses and have a strong work ethic,” she says. Kitchwin Hills’ Mick Malone says the program would go a long way to ensuring long-term employment opportunities in the industry. Applicants can find out more about the program and apply here. Farms who wish to be involved should contact Cecelia on 0411 696 036. Thoroughbred Research and Development Levy – your input needed! Thoroughbred Breeders Australia (TBA) is the national peak body established for the benefit of the Australian thoroughbred breeding industry. TBA, a not-for-profit organisation, has a membership base of 3,800 individual breeders and other industry participants, and is also the parent company of the six state breeders’ associations.